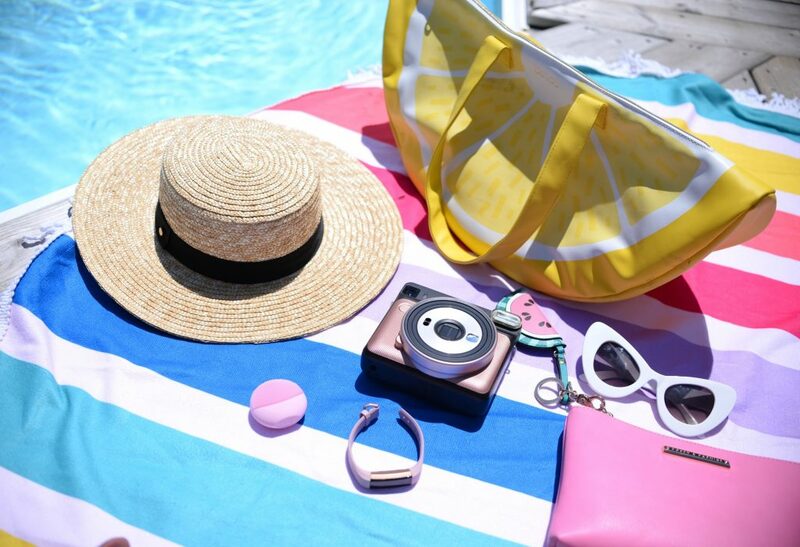 Whether you’re jet-setting to a tropical location or hitting the beach for an extra long weekend, it’s important to come prepared. The last thing you want when traveling is to experience a major breakout, get burnt or not have your favourite tech gadgets. There’s always a handful of items you’ll inevitably forget, which is why I highly recommend packing your accessories, before packing clothes and shoes. Sure, your hotel may have a hair dryer and some toiletries, but they won’t have your fave cleanser, beauty tools or sun-safe products. 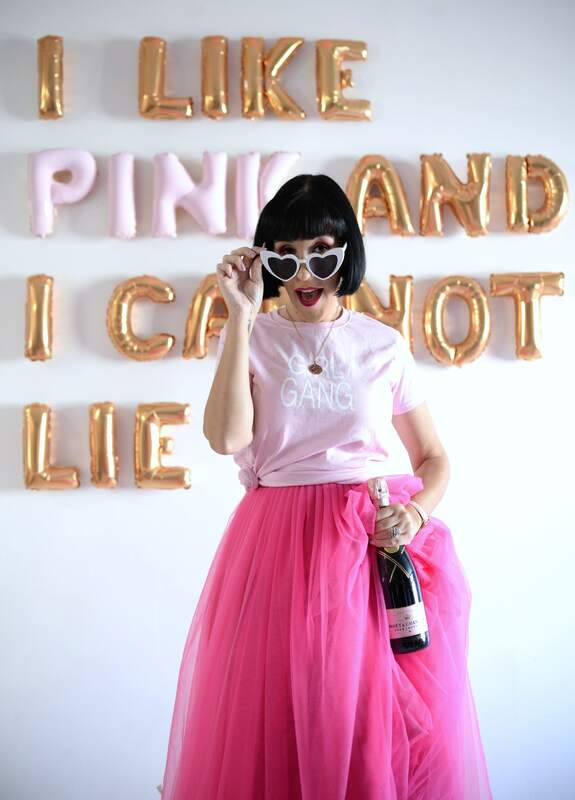 No matter your destination, looking fabulous, having fun and capturing memories should be first on your itinerary. Washing your face before bed is crucial if you want to prevent clogged pores and breakouts. Of course, finding a gentle cleanser that doesn’t strip your face of its natural oils is only half the battle. Your cleansing technique is the most important. Although washing your face with your hands is acceptable, a cleansing device will not only ensure all the daily grime is washed away, but it will actually help your creams and serums penetrate deeper and get absorbed more effectively. 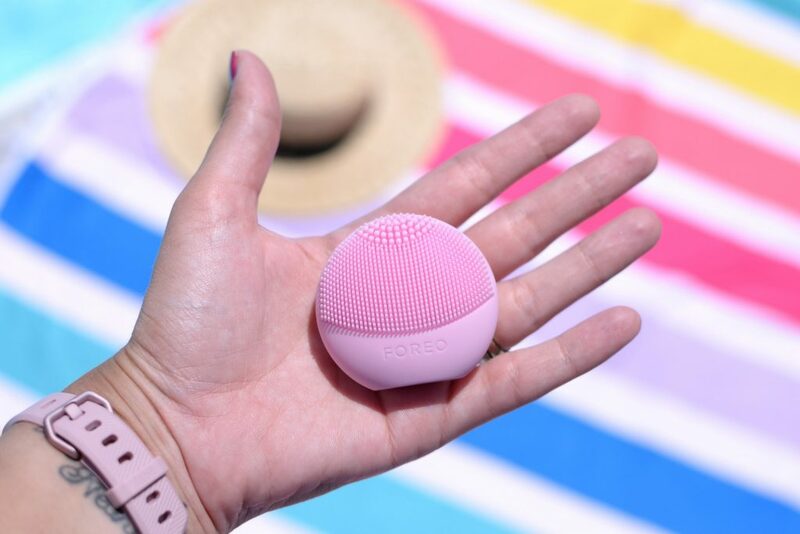 The Foreo LUNA Play is a tiny, yet powerful sonic face cleanser that helps to tighten pores, firm skin and boost radiance. Its incredibly compact design is perfect for travel and super affordable. 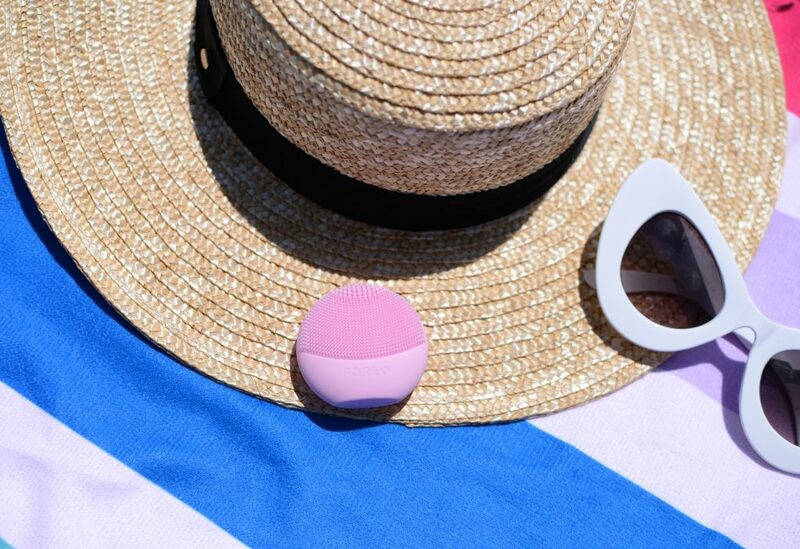 Its unique pulsating design is diffused through soft silicone touch-points to gently unclog pores and remove up to 99.5% of dirt, oil, makeup and daily grime. It helps to remove dead skin cells, therefore, leaving your skin instantly softer, smoother and with a slight radiant glow. Since its silicone bristles are bacteria-resistant, you won’t have to worry about replacing the brush head. It stimulates lymphatic drainage to reduce puffiness, perfect after long flights and early mornings. Just place a small amount of your favourite cleanser onto your face, turn on and let the Foreo LUNA Play do its work. You’ll be amazed at how quickly it breaks-down makeup, even long-wearing foundation and waterproof blushes and bronzers. It feels incredibly calming, almost soothing, thanks to its massaging benefits. This is one beauty product I can’t live without when traveling. It ensures my skin is squeaky clean, breakout-free and with a luminous glow. It retails for $49. Although most destinations and most hotels offer beach towels, lets face it, they’re never that special. 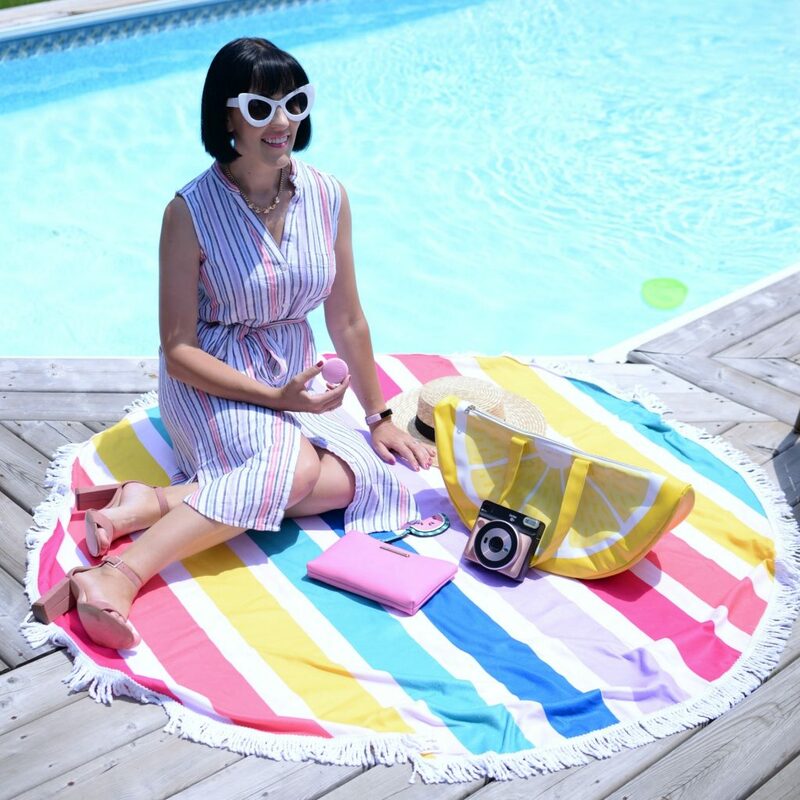 In a world of social media, where we document and take photos of everything, we need a fun and playful beach towel to complete our Instagram worthy picture. 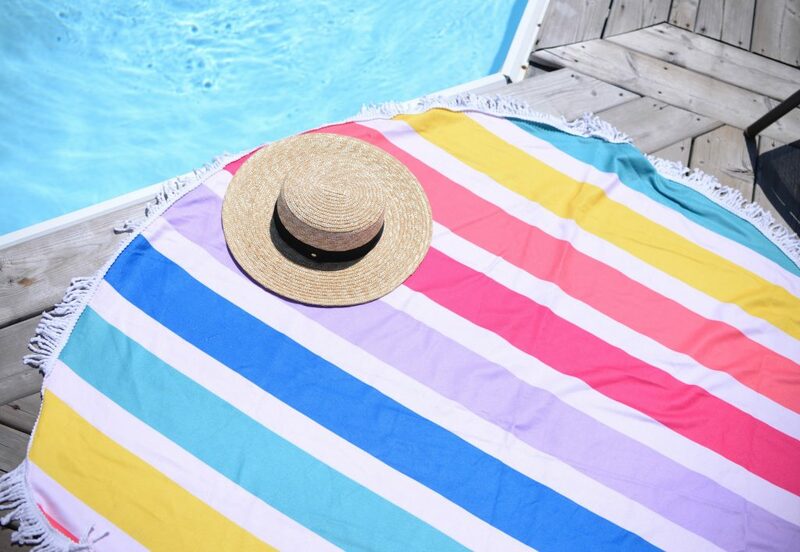 This round colourful Poppy & Peonies Beach Towel is the ultimate beach accessory. It’s perfect for drying off after hours in the ocean, but can quickly turn into a sunbathing or picnic blanket. 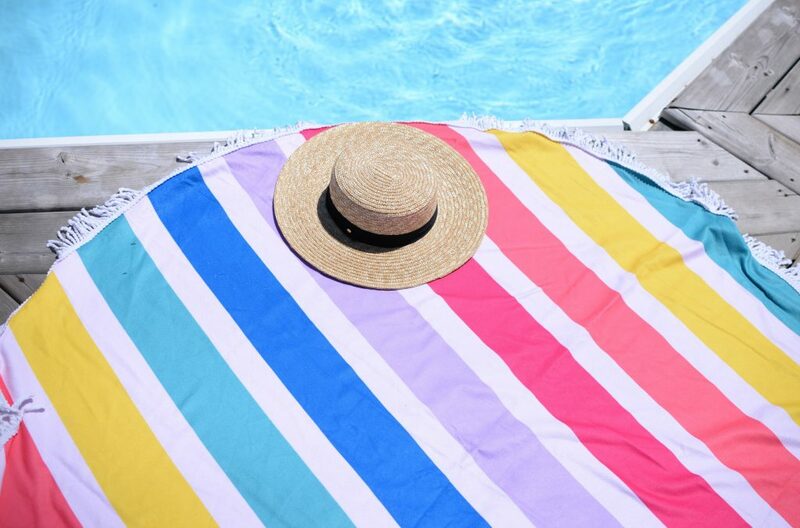 Make the most out of your seaside experience while lounging in the warm sunshine, reading a book or sipping on Piña Colada on this fabulous towel. It retails for $39. One of the sleekest and most affordable fitness trackers on the market today, would have to be the Fitbit Alta HR. 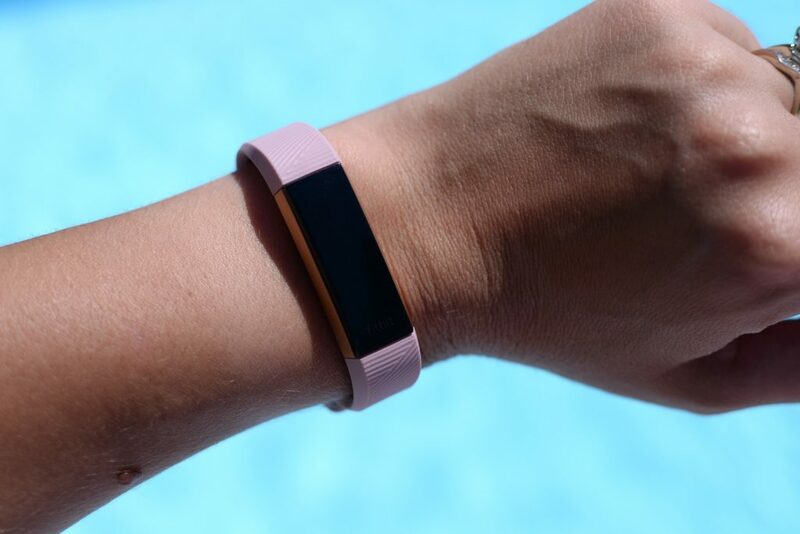 It’s perfect for health-conscious travellers that not only want a sleek and stylish band, but the ability to track your heart rate while receiving texts and calls. 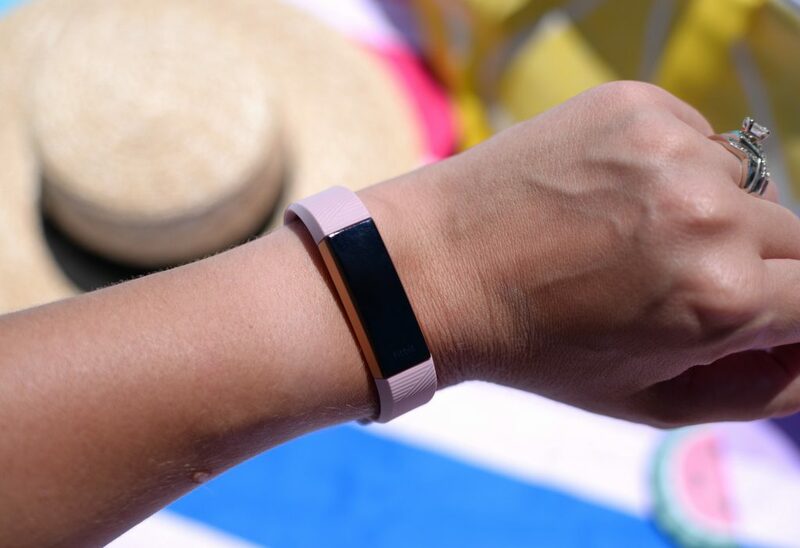 It will subtly remind you to get up from your beach blanket and take a short walk, or dip into the water after an hour, it will track how many steps you take in a day and monitor how active you were throughout the day and how many calories you burned. It automatically recognizes your exercise and workout routines, tracks how you sleep and helps you stay on track with your weight and food goals while on holidays. It retails for $229. As much fun as we have capturing memories on our iPhone or digital cameras, there’s something rewarding and satisfying about seeing the photos in print. 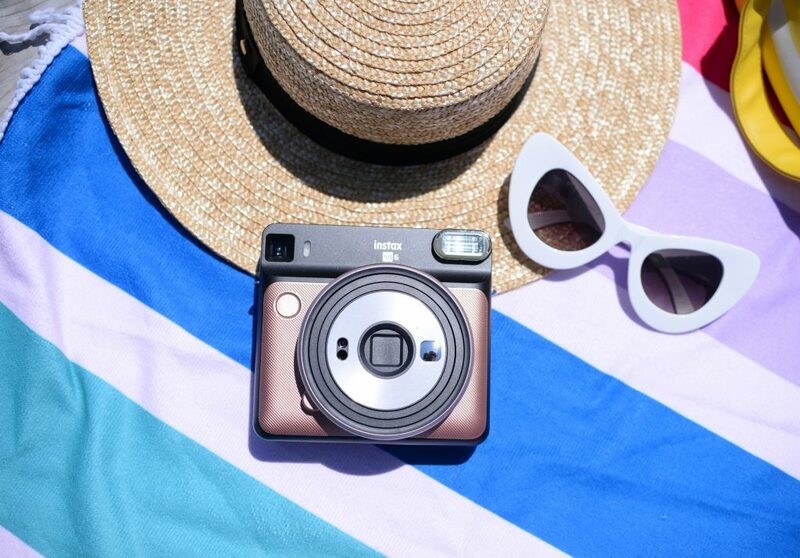 The new Fujifilm Instax Square SQ6 instantly brings those memories to life, in a square format just like Instagram. 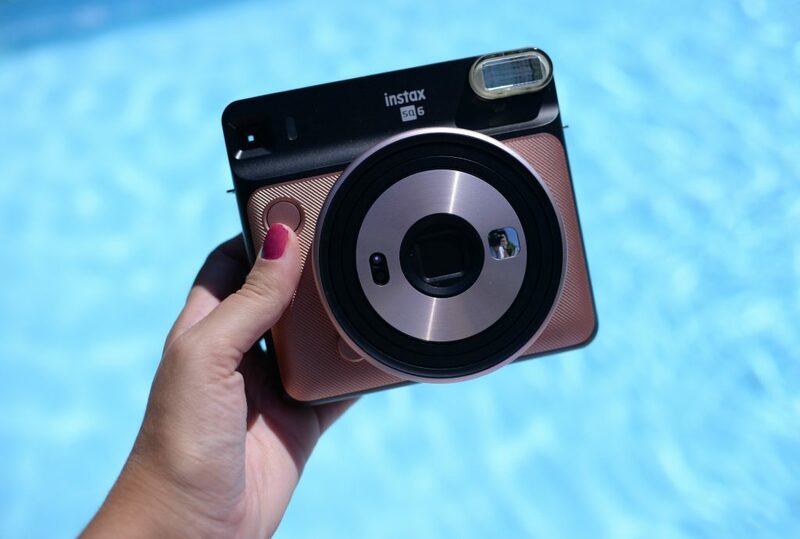 Its fun, attractive, retro design, paired with its easy-to-use and solid features, makes it one of the best instant cameras on the market today. If you’ve always wanted to shoot in square format, with instant prints you can hold in your hand right away, or if you’re looking to have fun with filters, like orange, purple or green, you’re gonna have fun with this camera. Simply clip on the plastic filters overtop of the existing flash and watch as your photos come to life. Beyond the default mode, you also get selfie, macro, and landscape modes, each of which has brightness and focal length tuned for their purpose. There’s even a double exposure option, which allows you to expose a shot twice, overlay one image on top of another. It retails for $159. 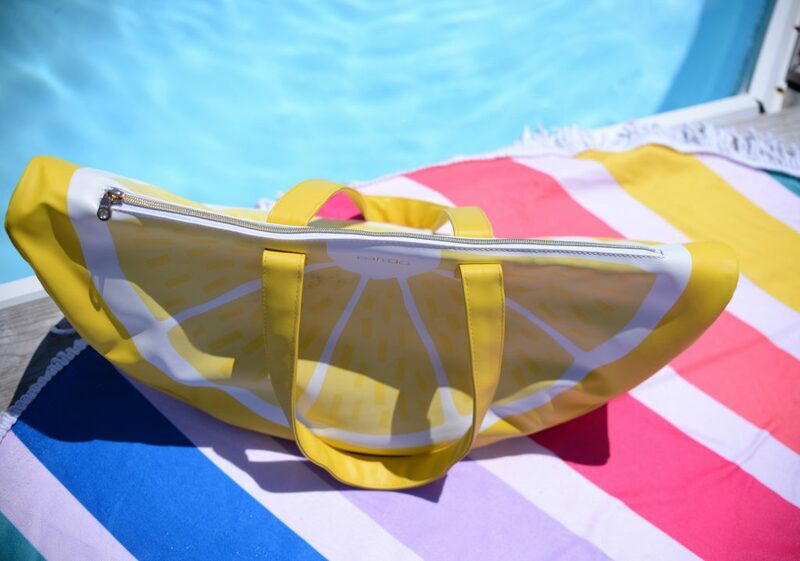 Although technically not a gadget, this BAN.DO super chill cooler bag does manage to keep all your drinks and snacks cool all day… which I think is magical. Just toss in a few ice packs or those reusable ice cubes (the ones that chill beverages without watering them down), and keep all your treats cold all-day long. Not only does its water-resistant leatherette material keep any liquids from leaking, its microfiber lining keeps items extra cool. 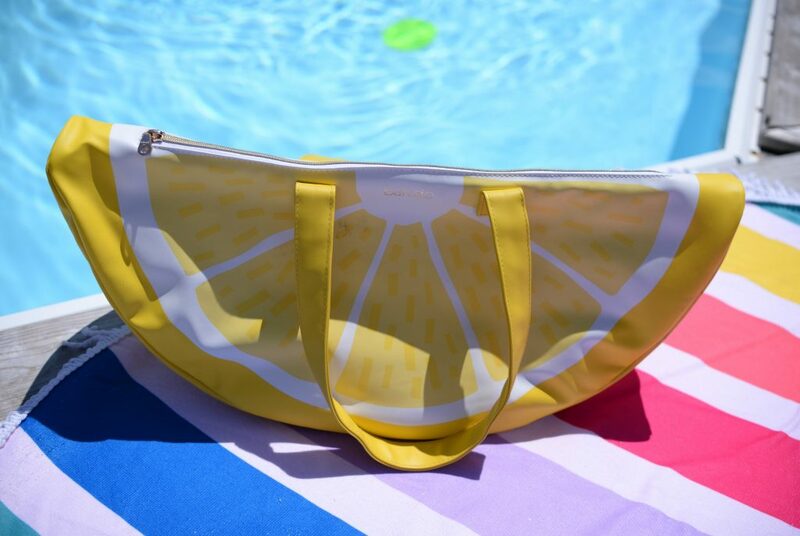 If you’re not looking to keep items cold, this can also double as a beach bag, ensuring everything is safe and secure. It retails for $32USD.